Workshops - ranging from a few hours to a few days. These workshops can be casual affairs where artists can work together and chat at the same time, or they can be very structured gatherings with an experienced artist as leader and mentor. Critiques - perhaps the most useful and educational of all our gatherings. An experienced artist usually leads these activities, suggesting ways to improve the paintings that are presented to him or her for an assessment. Of course there is no compulsion for any artist to follow these suggestions, but even just watching and listening can help a new artist to see where problems occur and find ways to improve the paintings. Classes - some groups provide classes for their members while others provide opportunities for members to learn from more experienced artists but outside a class format. Demonstrations - Most groups provide Demonstration times with well known experienced artists, sculptors, photographers or other visual arts practitioners. These times are very popular with artists who are always keen to see what others are doing and to learn from them. Be early for a good seat! Outdoor Painting - another popular activity is taking your paints, sketch book, camera, etc. into the open air and working along with other artists. The challenge here is to compose a painting when you have 360 degrees of sight to work from! Some people enjoy the company of other artists, the chance to record scenes for later artworks, and the fresh air that is free on these occasions. Life Drawing - another challenge for an artists is the drawing of the human figure, but an ability to do this allows the artist to create an interesting artwork that tells a story. It is certainly worth working on and gives any painting an interesting focal point. Outings - as time and opportunity permit, there are many outings that can take place. These range from visits to Art Galleries and Exhibitions; day trips to various places of interest; and can even include weekends and longer periods away in the company of other artists. Companionship - many artists find they spend endless times working alone in their garage, attic, spare room or wherever they can spread out. Companionship is one special feature of belonging to an Art Group. Special Activities - as time and opportunity permit, a group will organise all sorts of other activities such as barbecues, Christmas parties, card-painting, glass-painting, or anything else that seems interesting. 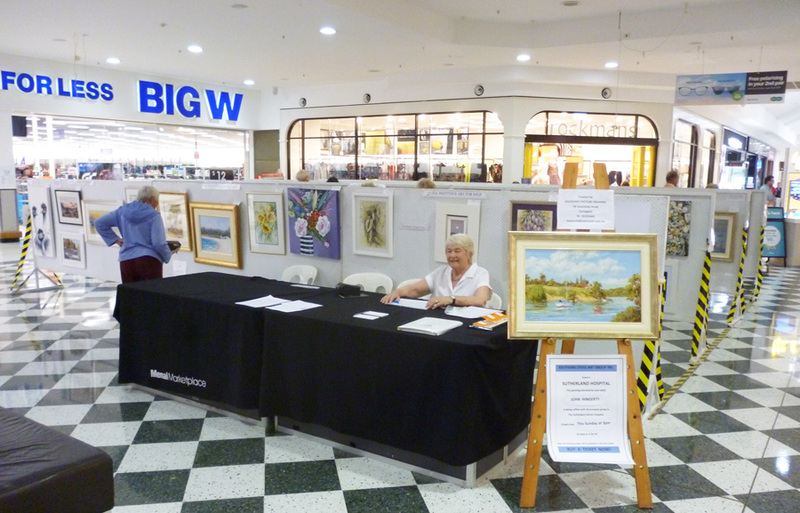 WE INVITE YOU TO JOIN OUR SOUTHERN CROSS ART GROUP.